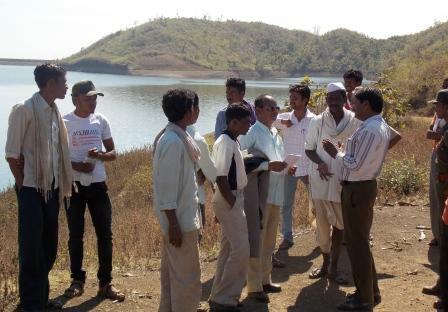 In what could prove to be an important precedent for the implementation of Forest Rights Act, a Korku tribal village has received community forest rights (CFR) claim over a portion of the reservoir of Sapan dam in Chikhaldara tehsil of Amravati district in Maharashtra. The Act gives communities rights over forest and its resources, and the village, Jaitadehi, has received CFR over 66 hectares (ha) of forestland, out of which 23 ha was submerged by the dam. On January 29, after much struggle by villagers, the portion of the reservoir was finally demarcated and handed over to the village for fishing and management by the district administration. While on the one hand this marks a landmark of sorts, it also remains to be seen how fishing rights are managed, as the remaining portion of the reservoir is contracted out to a different fishing society, and it is very difficult to demarcate either water or fish. Things changed for the better after the village filed its CFR claim with the help of non-profit Khoj and others. However, despite being granted CFR over part of the reservoir in August 2013, the village could not exercise its rights, as the entire reservoir had already been leased out to a different fishing society. “Neither the fisheries department nor the other society were aware of CFR, and refused to recognise the rights of the village,” says Upadhyaya. The village then wrote to the district level committee, seeking clarification on the status of the reservoir. Several meetings with different departments later, the situation finally became clear, and recently, the fisheries department recognised the rights of the village. Upadhyaya says efforts will be made to form a cooperative of all the villages displaced by the dam, which can then get rights over the entire reservoir. “Jaitadehi’s success is the first step in this direction,” said she.